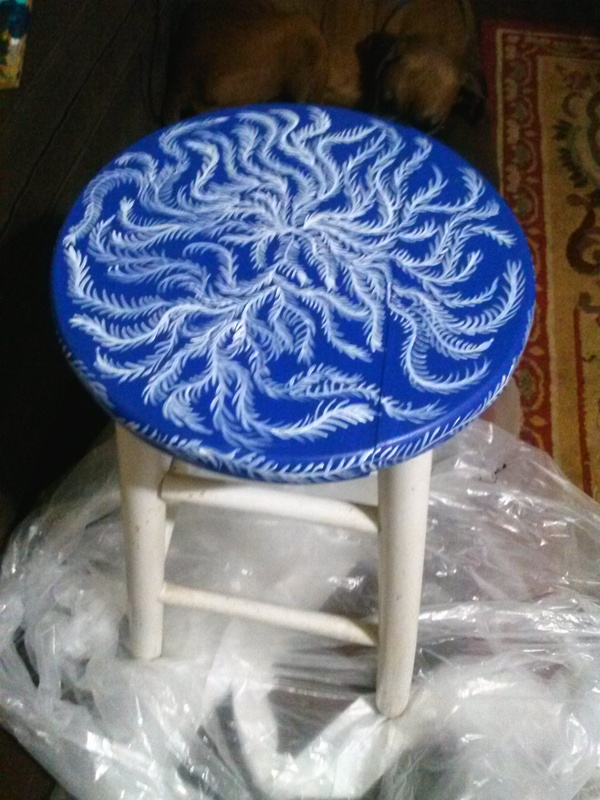 So I saw this amazing furniture than I wanted to reproduce so of course i started painting because I am a painter. I finished the top and I like it but my socks weren’t rocked. So I thought I’ll paint the whole thing blue and paint the pattern over the whole thing. And then I came across a link for stencils. Yes! Yes! Yes. The possibilities are endless.